What happens when bridges reach the ultimate level of disrepair? 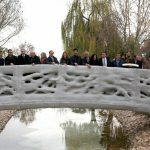 With almost four out of 10 of the nation’s bridges reaching the end of their design lives, it’s a question that’s being addressed more often. 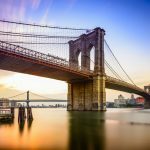 Check out these three examples of bridges that have aged out and the impact it has on the communities around them. 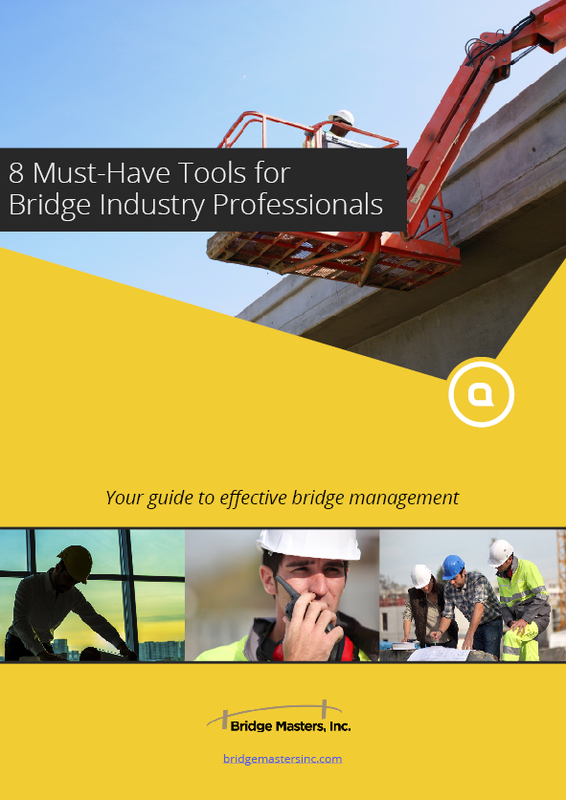 They make a solid case for why local and nation governments must find fresh ways to fund ongoing bridge maintenance and construction projects. This unusual bridge is often referred to as the Ponte Vecchio of Queens, after the famous structure completed in the mid-1500s in Florence, Italy. Similar to the Italian viaduct, this bridge is lined with shops. In Queens, the stores aren’t the luxury jewelry retailers housed on the Italian bridge. Instead, they’re faux Tudor-styled retailers and restaurants that serve the everyday needs of the local community. People living in Kew Gardens consider the businesses lining the bridge a vital part of their neighborhood. The structure, built in 1920, is an amazing piece of engineering that’s fallen into decay. It crosses over the Long Island Railroad, so the tracks are active most of the day, and trains regularly shake the businesses and roadway above. The viaduct was designed to maintain the integrity of the community, so the tracks did not completely slice the close-knit neighborhood in half. 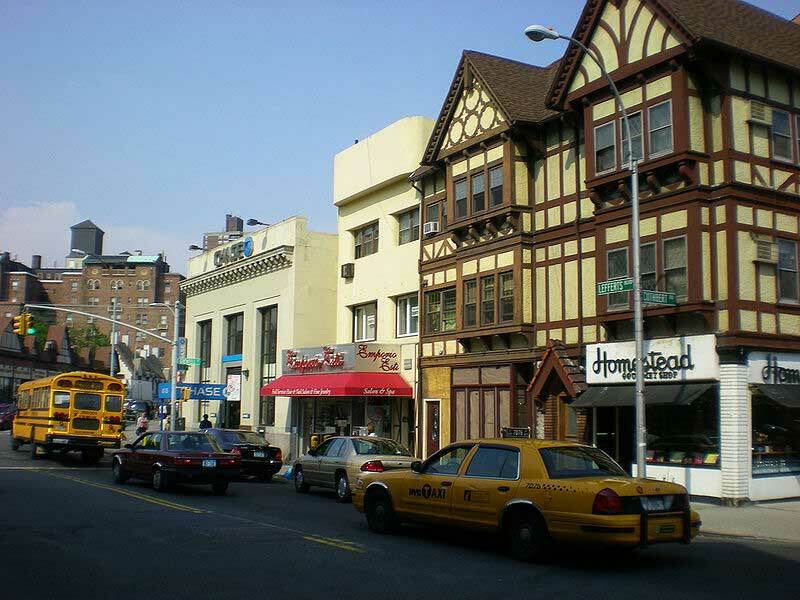 The bridge-of-shops gives the impression that Lefferts Boulevard, a major thoroughfare, continues uninterrupted over the railroad below. 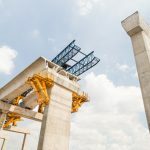 The structure is actually a complicated engineering marvel that encompasses three separate bridges, one that supports the roadway and two on either side that hold up the buildings. The road is held up by its bridge structure from below. The stores are supported from above, much like a pair of drapes hanging from a curtain rod. The support elements of the bridge run through the roofs of the stores, similar to how the Ponte Vecchio was engineered centuries ago. Unfortunately, this unique bridge has been allowed to fall into disrepair, in part because of limited budgets and funding from the Metropolitan Transportation Authority (M.T.A. ), its owner. It may not survive for long. One store owner reports a dangerous hole in the floor of her stockroom that looks down on the train tracks below. The M.T.A. acknowledges the need for significant repairs. The agency believes the best way to fix the problem is to tear down the bridge, including the shops. 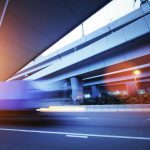 This is raising significant concerns in the local community, which is afraid that the bridge could be replaced by another that doesn’t integrate as well into the neighborhood. The deadline for finding a solution to this problem is 2020, when the leases for all the businesses lining it come to an end. The M.T.A. won’t allow them to be renewed while the future of the bridge is under question. One suggestion for maintaining the current historic structure is to build new bridges below the current ones to prop them up. The M.T.A. is reported to be willing to consider this option if it can be supported by a feasibility study, which could cost $1 million or more, an amount the community can’t afford. However, state and local lawmakers who recognize the importance of the bridge to the Kew Gardens area are trying to find ways to fund the study. This isn’t the first time the bridge has faced a crisis. Back in the 1990s, many of the shops were shut down because of the poor condition of the structure. At the time, residents pointed to a replacement for another bridge built nearby in the 1960s. They found it out-of-scale for the area and used it to make the case for repairing the Lefferts Boulevard Bridge. The community hopes the same thing could happen today. Learn more about the current state of this bridge and its future in this exposé in The New York Times. This graffiti-covered, pothole-riddled bridge crosses over railroad tracks and a scrap-metal yard, connecting two of the most economically disadvantaged neighborhoods in Erie. The viaduct, also known as the East Avenue Bridge, opened in 1938, when Erie was a bustling and growing city, fueled by its expanding steel industry. A pastor in the neighborhood fought to get it built after a child was killed crossing the railroad tracks. When completed, it moved traffic between two prosperous neighborhoods. For decades, the busy span carried pedestrians, cars, and trucks onto East Avenue, the main street in this section of Erie. Back in the 1970s, when the structure was last renovated, it was still a symbol of pride in a thriving city. Right after that renovation, things started changing. Steel factories closed, city residents moved to the suburbs, and they were replaced by immigrants and others with lower incomes. The good news is that they helped slow the city’s population decline. However, they were unable to contribute as much to the its tax base. In 2005, the city built the $180-million Bayfront Connector, an expressway, part of which crossed over the tracks. A nearby bridge that’s part of the new system shifted traffic patterns. The older McBride Viaduct was finally closed to traffic almost eight years ago, a victim of civic neglect. The new highway got people who live in the suburbs in and out of the city quickly. However, it split an inner-city neighborhood in half. Schools because unreachable, even by students within their own district. East Avenue businesses were forced to close because they were difficult to access. Crime went up because the newly dead-end streets became more challenging to protect. All this resulted in a significant decrease in housing values and tax valuations. Fast forward to today: some people walk or bike across the derelict bridge because they find it more convenient than the pedestrian path on the new highway bridge. Students at a nearby university, along with local teenagers, use the bridge as an elevated park because of the lack of green space in the community. Some preservationists hold out hope the structure could be repurposed, similar to the well-known High Line in New York City. 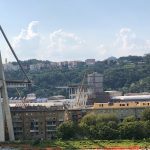 Despite all these efforts, it seems likely the bridge will be torn down because the cost to repair and maintain it is prohibitive for the cash-starved city. Some estimate that repair costs alone could be $6 million or more, not including ongoing maintenance. Learn more about the economic, cultural, and social impacts of this decaying viaduct. 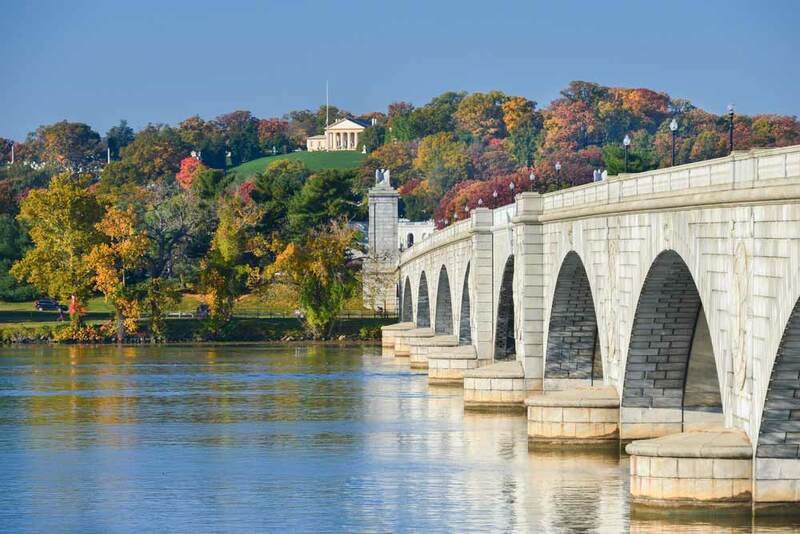 Arlington Memorial Bridge, Washington D.C. 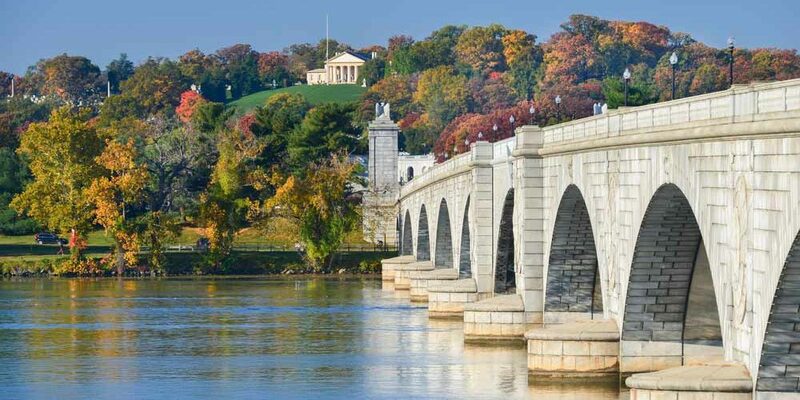 This iconic bridge, built in 1932, connects Arlington National Cemetery to the Lincoln Memorial. It’s listed on The National Register of Historic Places and is part of the National Park Service. 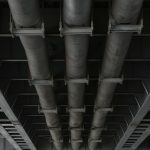 Despite its history, remarkable architectural design, and prominent location, it’s been identified as one of the most vulnerable structures in the federal infrastructure system. The bridge is inspected regularly for safety, but its functional ability is reduced because of decaying steel and crumbling concrete. How bad is the condition of this bridge? It had to be closed to traffic during President Trump’s inauguration because of weight and traffic limits that have been placed on it. It’s also closed most weeks from Thursday through Saturday. These closings inconvenience residents and tourists. Many hold this Washington, D.C., landmark as the ultimate symbol of why the federal government must spend more on infrastructure. Unfortunately, this bridge will likely not qualify for renovation under the president’s latest infrastructure funding plan. 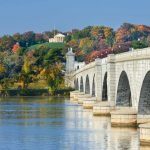 The plan leverages tax credits to incentivize public-private partnerships, which are typically more effective for highway bridges and other major viaducts that generate revenue through tolls, which the Arlington Memorial Bridge can’t do. 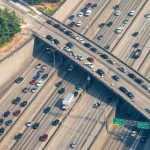 The infrastructure plan does not address repairing smaller urban and suburban bridges and ones in rural areas. Additional challenge: The bridge is designated as an evacuation route for the U.S. capital region. An emergency situation could become more dangerous if the bridge fails because it’s unable to support the heavy level of traffic exiting the city. Officials believe the bridge could be closed in the next few years if it doesn’t receive the $250 million it could take to get it back into working order. Smaller grants have delayed this, but short-term fixes won’t last forever. The three bridges profiled in this article demonstrate the extraordinary impact a decaying bridge can have on a community. This proves the importance of regular, ongoing maintenance, backed by government spending on infrastructure. Use these examples to demonstrate to officials in your area what can happen when bridges go bad.